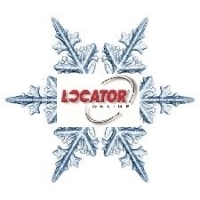 We at Locator Services would like to wish everyone in the MDNA and their extended families a Joyous Holiday Season with sincere wishes for a Happy and Successful New Year in 2017! We are very thankful for your continued support and are very grateful for many things in 2016. 40,000 decision makers on our Email Marketing Services distribution lists! Please take time this Holiday Season to enjoy the blessings in your life! When you get back to the office please contact us and let us know what we can do to help expand your services and accomplish your goals in 2017 and beyond!